Why my warm memories of being Jewish in Iraq have, to an extent, washed away. 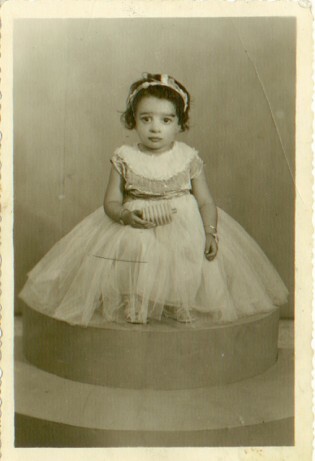 In 1963, I was born in Baghdad to Jewish parents. By the time I was five, Iraqi-Jewish assets were being frozen, Iraqi-Jewish men had begun to lose their jobs, and Iraqi universities would not accept Jewish students. My family tried to escape Iraq over the Iranian border, but we were captured and jailed for five weeks. At one point, an officer took me alone into an interrogation room and, looking for a recording device, dismembered the doll I was carrying. I was only nine years old, but he accused me of being a jasoosa, a spy. Upon being released, my family found that many of our belongings in Baghdad had been confiscated. We moved in with a friend and applied for passports for a ten-day vacation to Turkey. From Istanbul, we fled to Tel Aviv and then to Amsterdam. As an adolescent, I went to school in England for a year, and eventually immigrated to America, where I have lived since 1991, and where I now have my own dentistry practice and five children. Throughout my life in exile, the effort of trying to hold on to the immaterial aspects of my culture, of my homeland and my roots, has felt like having my body squeezed into a corset. I have to hold my breath in order not to assimilate too much, but also in order not to lose my memories of what it was like to be Jewish in Iraq. When my family arrived in Amsterdam from Tel Aviv, we had never heard of Reform Judaism. The first Dutch synagogue we walked into – on Yom Kippur, the holiest Jewish holiday – contained women who were singing, mixing with the men, and reading the Torah. We were stunned. It was as if we had landed on the moon. My G-d, I realized, had always been an Iraqi-Jewish G-d. I had a hard time identifying Him here – the voice was not the same. He had an accent now; massa became matzoh, shabbath became shabbos, miswa became mitzvah. And whereas in Iraq we’d always eaten rice on Passover, in Holland this was taboo, kitniyos. In other words, in our new home, our religion was inauthentic. Illegitimate. What was “normal” and familiar about Judaism we had left behind. Amsterdam was generally a jolly place; the children I went to school with were blond, lighthearted, and happy. But I was dark and tainted with fear; I no longer had even the G-d I’d long counted on to comfort me. So I began to wonder: Who needs that “souvenir” we call Jewishness? Why not simply drop it altogether? I wanted to be like all the other kids around me – simply to be – not loaded down with the weight of history and religion you can’t even see. On the other hand, who was I to relinquish the heritage that my ancestors had toiled over and died for? Wasn’t that precisely why we had left Iraq? To practice our Judaism freely? I went through the motions of attending a Jewish school, but because of the culture shock, combined with the language barrier, I did terribly. It was when I was 12 that a kindly rabbi accompanied me to London so that I could spend a year attending school there and living with an Orthodox family. This was a transformative experience, and after returning to Holland, I began to explore my heritage more deeply. By the time I’d graduated from dental school, I was like a dog that hadn’t previously known how to dig, but once he did, he dug whatever he could. Eventually, after moving to America, I married an Ashkenazi Jewish man and became an Orthodox Jew in the West. At first, I felt I’d given up my Middle Eastern G-d for an Ashkenazi G-d. Reconciliation did not seem possible, like the teeth of a zipper that just won’t close. There were differences in the order of prayers, and in the prayers themselves; some were spoken, others sung, and the melodies were unrecognizable. In America, the melodies sung at services are upbeat, whereas back home, they were earthy. In Iraq, they sounded like drums, or like camels marching forth; in fact, everything about Judaism in Iraq seemed more relaxed, not as calculated, not so stringent. As if the Iraqi custom were embodied by a bohemian artist and the conservative Western one by a mathematician. As I’ve moved around in life, my warm memories of being Jewish in Iraq have, to an extent, washed away, as if with the very saltwater that, at the seder, reminds us of our tears of slavery in Egypt. Indeed, I felt as if my Jewishness were being introduced to me anew every time we entered a new country. Paradoxically, even in Israel it was different: Judaism faded into the background because, of course, the very state was Jewish; everyone was used to it. But I have also learned to feel proud of my origins, which, after all, are the geographical origin of all things Jewish. When someone refers to The Babylonian Talmud, I take pleasure in knowing that I, too, come from Babylonia. Or, when reading the Torah, I come across the Hebrew word for river, nahar, which is the same in Arabic, and the delicious language of my youth comes flooding back. Today, I try to incorporate the old Iraqi customs into my Jewish life. I like hearing the Megillah read on Purim, which we called Eid el Mesjallah, and sometimes I close my eyes and picture the sukkah in the backyard of our Baghdad home, bedecked with the leaves of palm trees and ripe dates hanging down. I enjoy watching my children learn and practice their motley heritage, in which holidays have more than one name, and a bounty of different symbols prompts us to remember and reflect. I now understand that G-d speaks many dialects. He accepts tiny tweaks to His foundations. And His language is universal. Considered an expert on the Iraqi-Jewish archive and diaspora, Cynthia Kaplan Shamash has spoken widely about her experiences as well as written about them for the New York Times. She was elected to the board of the World Organization of Jews from Iraq in 2011 and currently lives in New York City, where she has her own dentistry practice and is married with five children. 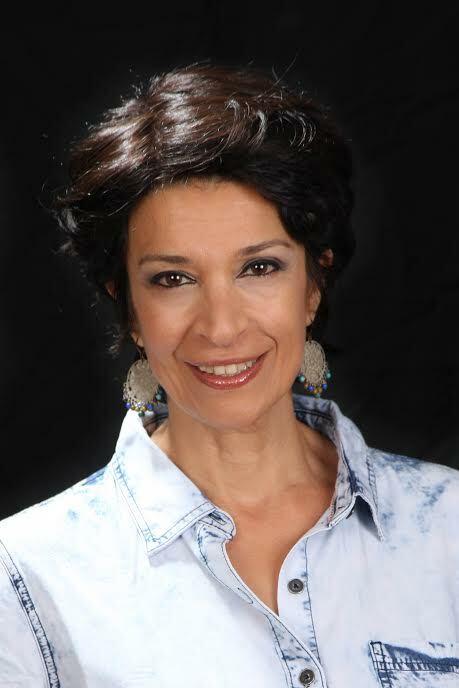 Her first book, The Strangers We Became: Lessons in Exile from One of Iraq’s Last Jews, was published on October 6, 2015, by Brandeis University Press.